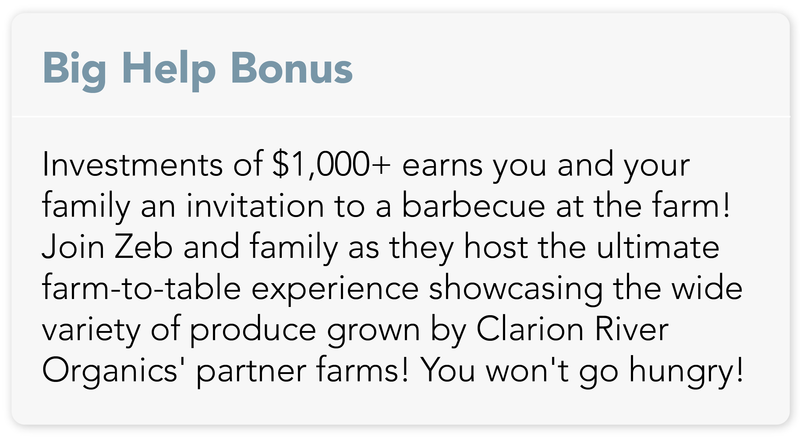 Clarion River Organics is a cooperative of family farms 75 miles northeast of Pittsburgh, PA. 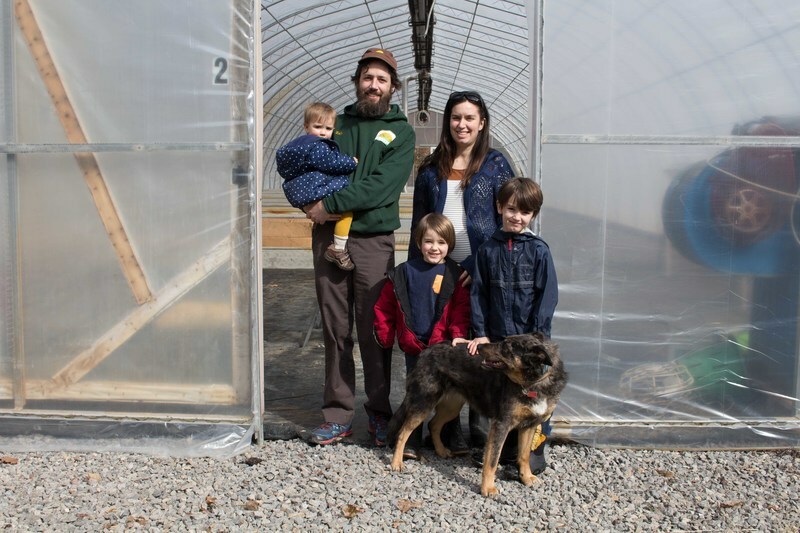 They are borrowing money to install three greenhouses so that they can grow and sell their organic produce year-round. The business is looking to borrow $10,000 to $25,000 at 9.25% interest over 3 years. Anyone at least 18 years old can invest! 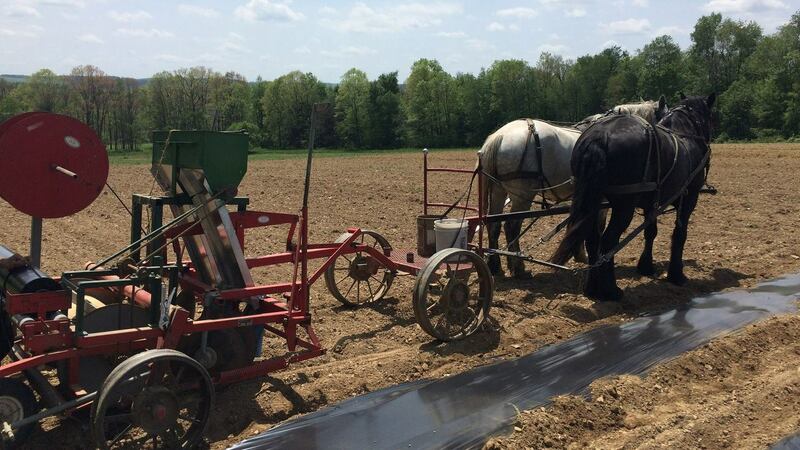 Clarion River Organics (CRO) was born in 2009 to serve five Amish farming families growing along the Clarion River. 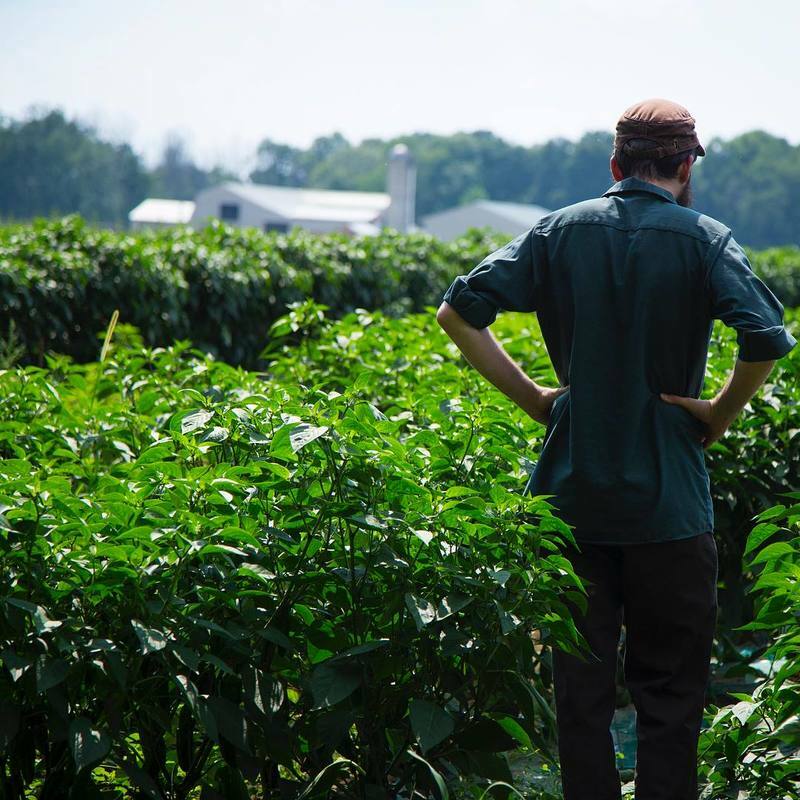 They have since grown to an 18 farm cooperative with a popular community-supported agriculture program (CSA) that serves Pittsburgh, Erie, and rural Northwestern Pennsylvania. 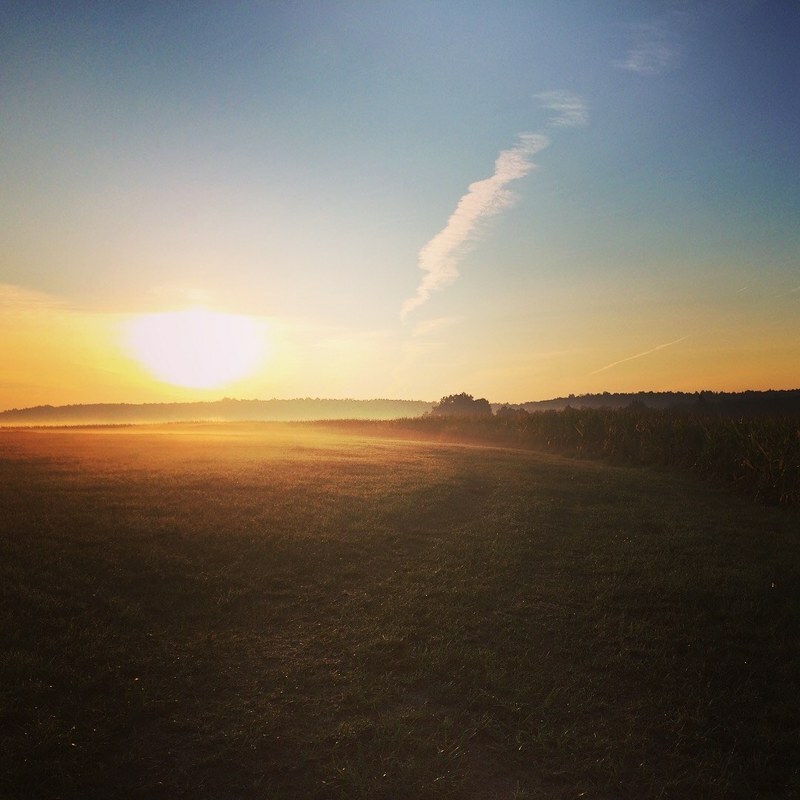 All of the CRO member farms are family owned and operated. 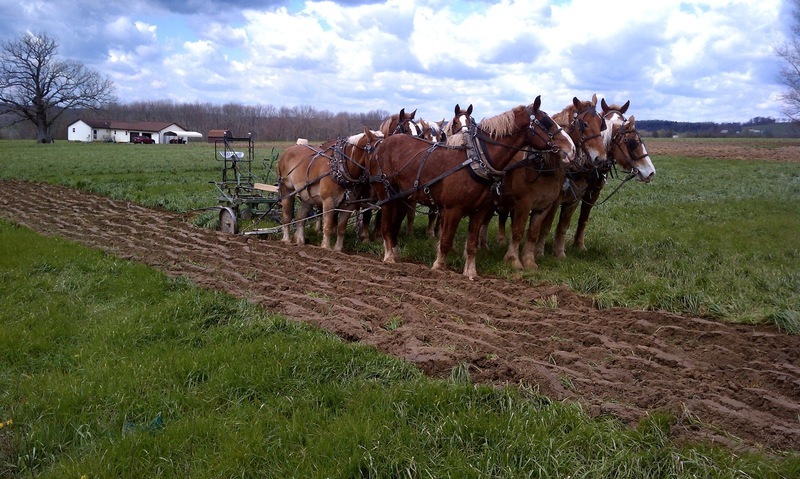 Most of the families are Amish and all of them practice horse farming. By using horse farming and ice houses for much of their storage, these farms produce abundantly while using a smaller amount of fuels and electricity, lowering their impact on the environment while maintaining soil quality. All of Clarion River Organics' farmers share a philosophy of caring for the soil to keep it "living," and they want to keep their sales local. For both of these reasons, CRO's farmers are doing their part to care for the Earth while making a living doing what they love. Since most of the farms are small and diversified, it is prohibitively expensive for them to each handle the marketing, sales, and distribution of their products individually. By forming a cooperative, the farmers are able to pool their resources, making it easier to plan and coordinate their growing plans, lowering each of their costs of sales and distribution, and creating a cooperative that has a wider range of products available over a longer season. They currently offer a wide variety of fresh, organic fruits, vegetables, and grains and, more recently, pastured meats and jarred specialty products. CRO currently distributes their produce throughout Western Pennsylvania through a CSA program, online wholesale orders, and at local grocery stores including Whole Foods Market, the East End Food Cooperative, Sunny Bridge Natural Foods, Erie Whole Foods Cooperative, as well as several Pittsburgh restaurants. 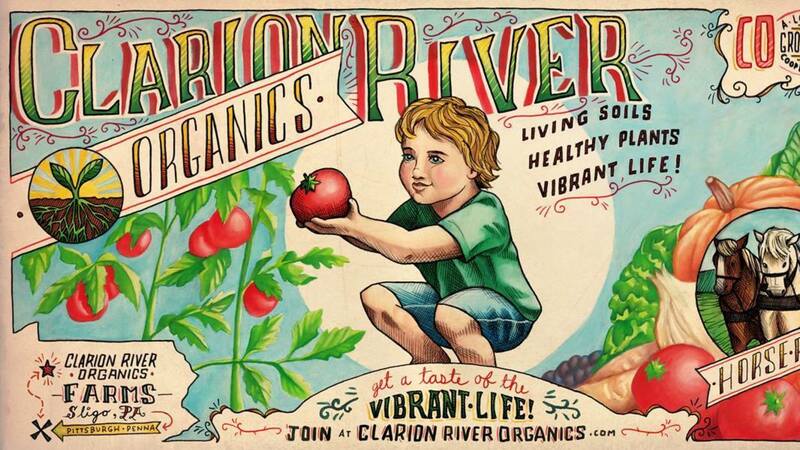 Clarion River Organics has been in operation and generated revenue since 2008. 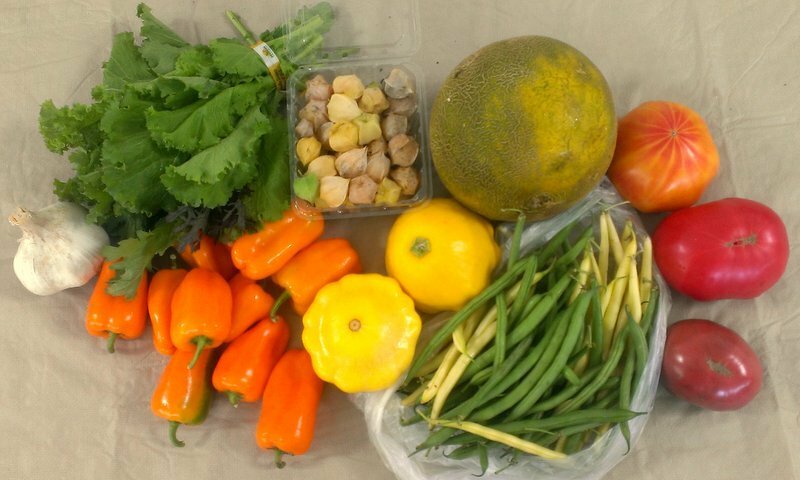 The company is profitable and believes funds raised from this campaign can help them increase profitability by allowing them to grow and distribute produce throughout the year. 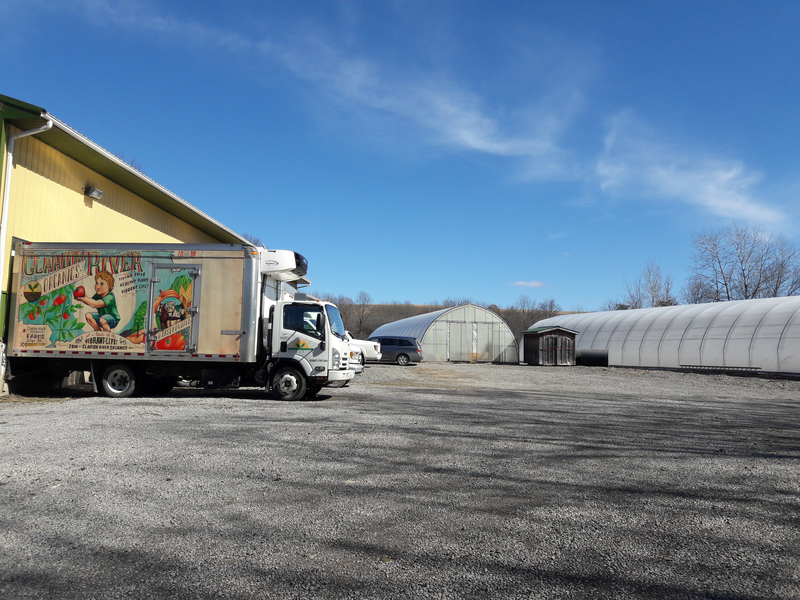 Clarion River Organics has erected three greenhouses to expand their product offerings and grow their organic produce year round. As with most farms in the region, CRO faces a highly seasonal business with limited activity after the growing season ends in the fall. The greenhouses will add new revenue streams in the quieter winter months while simultaneously benefiting the community with improved access to local, organic produce. CRO has already purchased and erected two large greenhouses (120' x 30') and one medium-sized greenhouse (24' x 96'). The funds will be used to link the greenhouses to utilities and purchase equipment to fit out the greenhouses. The greenhouses will give CRO an indoor, climate-controlled environment to continue growing their produce - from microgreens to full-sized vegetables - all year long. The produce will be distributed directly to consumers via winter CSAs, delivered to restaurants across Western Pennsylvania, and sold wholesale to grocers. These greenhouses set CRO up for future success during the winter months. Perks are cumulative. E.g., if you are one of the first 12 investors and you invest $5,000, you will receive all three perks. Zeb Bartels is passionate about sustainable agriculture and deepening peoples' connections with their food and the farmers and land where it comes from. Zeb holds a degree in agriculture from Penn State University and has worked for several farms and farm-related businesses prior to starting Clarion River Organics in 2009. Since then he has run the day-to-day operations and the strategic planning of the business. Since its founding, Zeb has successfully diversified the Company’s product selection (diversifying into meat and processed vegetable products) and expanded its distribution channels (selling to retail and wholesale). Zeb lives in Sligo, PA with his wife, their three (soon to be four) children, their dogs, and a small army of farm animals. 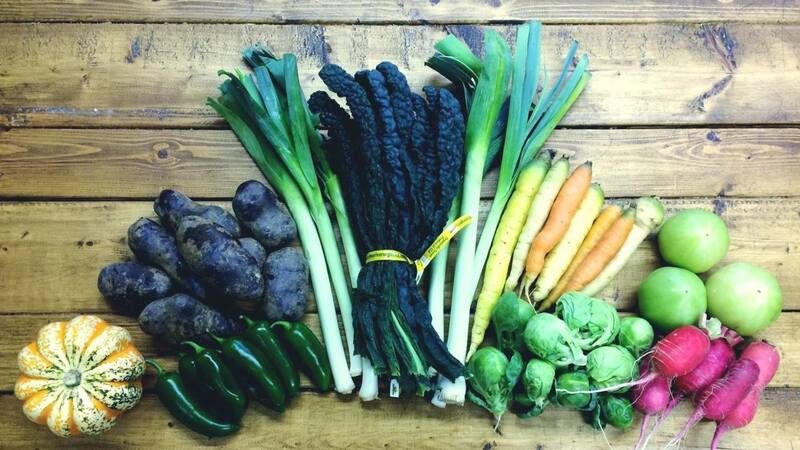 Clarion River Organics is based in Sligo, PA, a small community in Clarion County. 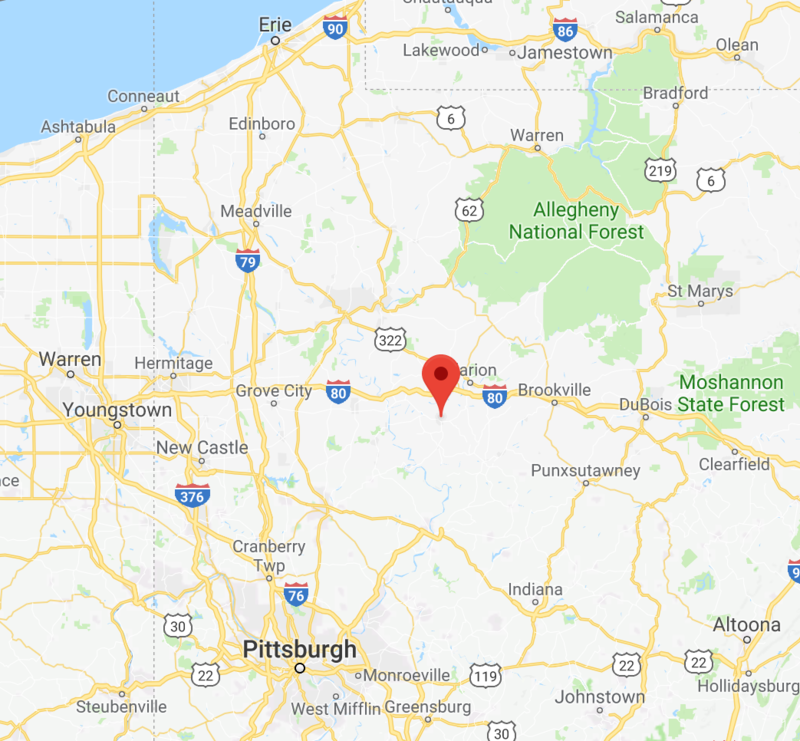 Sligo is located roughly halfway between Pittsburgh and Erie, making it easy to transport produce across Western Pennsylvania. If you choose to invest, you will make a one-time investment via ACH that will be transferred to a secure escrow account. 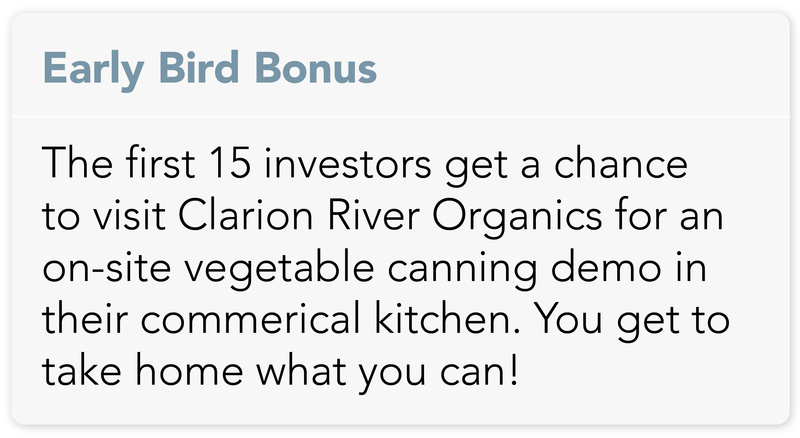 Once the campaign successfully reaches its target, the funds will be distributed to Clarion River Organics. *Individual payments may vary slightly based on rounding. Includes principal and interest, does not include the one-time fee which is assessed when you make your investment. (Note: Returns are not guaranteed and investors could lose some or all of their investment) These amounts are calculated as a fully amortizing loan: principal and interest are paid down starting with the first payment. When CRO pays as agreed, you will receive quarterly payments directly into your bank account along with a short update from the team. For more details on the investment and how it works, please see the "Offering Statement" on the Investor Info tab. Honeycomb charges Clarion River Organics a 2.0% loan origination fee if this campaign is successfully funded. 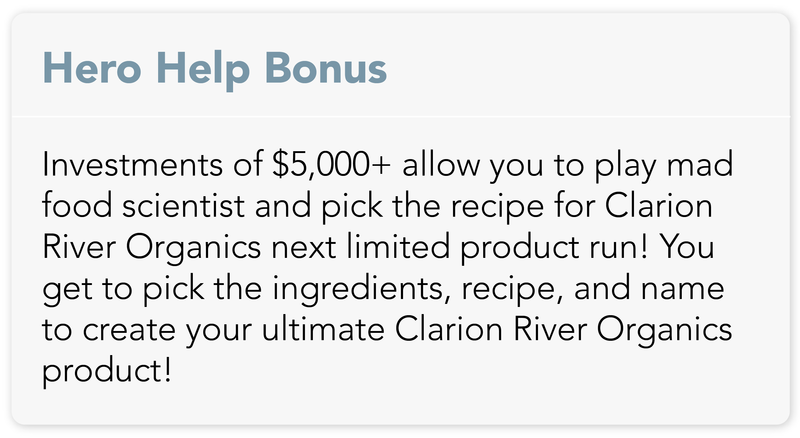 Our origination fee is reduced and our posting fee is waived for Clarion River Organics because they are a founding partner. +What's the status of building the new greenhouses?